If it’s time for a new ac unit installation or time to replace an older system with a more energy efficient system, here is an energy efficient option you’ll want to consider. One of the most common air conditioning systems that works well in homes without ductwork as an addition to your current heating and cooling system is the split air conditioner system and here’s why. 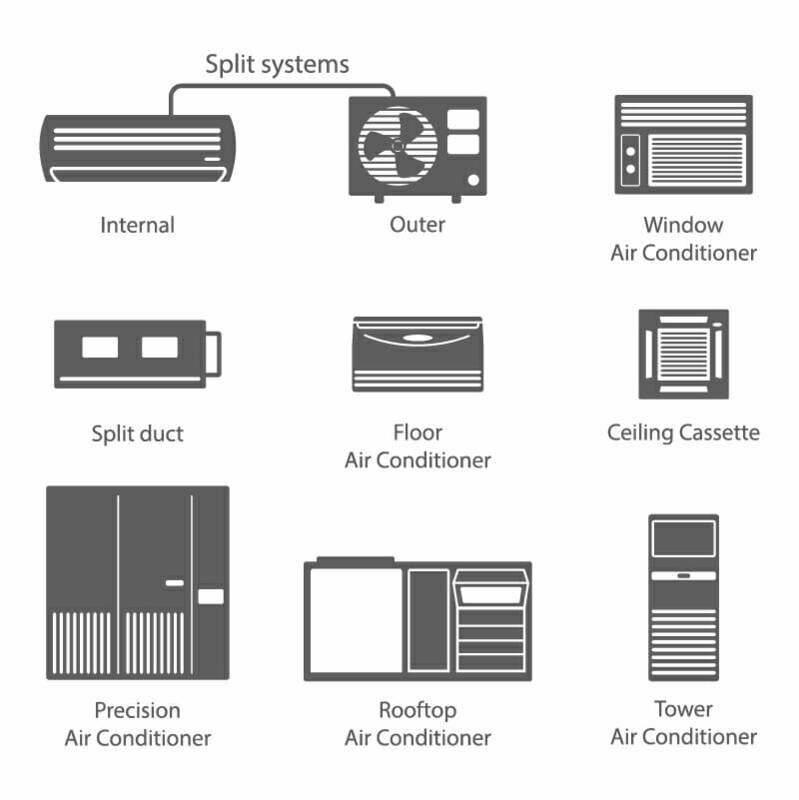 A split air conditioner consists of two main parts – a compressor located outside and an inside air outlet unit. Unlike a system that requires a series of ductwork networked throughout the ceiling, split air conditioners rely on a set of pipes to connect the outdoor to the inside air unit. Refrigerant is dispersed through the copper pipes that cycle through the system to generate either heated or cold air. Energy wise, a split system with the highest ENERGY STAR rating not only allows your system to be more energy efficient, it also helps to keep the environment clean and lower your monthly power bill by using less energy. Split air conditioning systems are available for purchase from a private air conditioning company, a retailer that specializes in air conditioning systems only, a retailer such as a department store or home improvement company, or you can buy one online. Regardless of where you buy it, be sure to have the necessary sizing information before signing on the dotted line. A critical step in the purchase decision is selecting the right size unit. This is when you need the expert services of a specialist. An alternative to having a private certified contractor do the sizing is to measure each room yourself. Take the information to the retailer where you’ll be purchasing the unit and have their qualified staff advise you. Whichever option you choose, selecting the right size unit will prevent you from wasting money on a system that won’t operate efficiently, keep your home comfortable, or increase your utility bills unnecessarily. Once your contractor or the retail specialist determines the correct size unit necessary to heat and cool your home, take a few minutes to research the energy efficiency of all of the units you’re considering. Use the government energy-rating website or check the ENERGY STAR label attached to each unit. This information will help you in making a final decision. One important thing to keep in mind is proper installation of the system. If it isn’t installed properly, three things can happen. First, the system will not be heating or cooling at its actual capacity. Second, because it is not operating efficiently, you’ll experience an increase in your electric bill. Third, like most any appliance, if it isn’t working the way it was designed to work, the added stress will decrease the life of the split air system. If your home does not have ductwork, a split air conditioner is a good option since you will not incur the additional cost of having ductwork installed in every room. The single system works well within a small area providing adequate heating or cooling. Using it along with other sources can make your home that much more comfortable. A big benefit to split air conditioning systems is the option to expand the system with additional air outlets for other rooms. Each has its own thermostat allowing for individual control to turn on or off as needed. With additional air outlets, the only additional installation necessary is the copper tubing connecting the outside compressor to each air outlet. The bottom line is to protect your investment by only using the services of a licensed contractor or a certified representative from a business or retailer to do the installation. If you choose to attempt to do it yourself, or hire a non-licensed individual to do the work, in most, if not all cases, you will void the warranty for the air conditioning system. A voided warranty won’t do you any good should the system fail or malfunction. Do it right from the get-go and hire a licensed individual with the experience to install the system. Keep in mind the person doing the installation will be working with a refrigerant. They may need to possess a refrigerant license that proves they are qualified to handle, install, remove, or dispose of the material. A split air conditioning system may cost close to that of a traditional HVAC system but has proven to be an alternative cost effective option to homes that do not have ductwork. Used along with other forms of heating or cooling, such as portable or window air conditioners, space heaters, or oil heaters, it can enhance the comfort of your home while keeping your monthly utility bill reasonable.